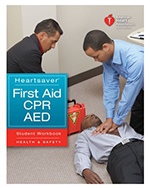 • CPR and First Aid training is an important part of an OSHA Workplace First Aid Program. *Statistics provided by the American Heart Association. The Department of Emergency Medicine at the GW Medical Faculty Associates was the seventh academic Emergency Medicine Department in the country. Since its inception, the Department of Emergency Medicine has been committed to service excellence in patient care and education, expansion of Emergency Medicine's boundaries through the development of new programs and configurations, and the creation of new knowledge in this field. As part of this mission, the department established the Emergency Medicine Training Center to reduce death and disability from cardiac disease through the delivery of the highest quality training courses. These courses are offered to the public, school communities, business, and government agencies as well as to the healthcare community both domestically and internationally. Private training initiatives are customized for clients and may include basic CPR and AED training, first aid, pre-hospital education, American Heart Association courses, advanced physician-level instruction, and continuing medical education (CME). 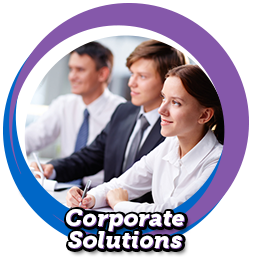 As a professional and experienced Training Center, many of our clients return year after year for training. Below is just a sampling of our client list. A more detailed past performance document is available upon request. For potential clients seeking a private course for healthcare providers, please see our list of healthcare specific classes here then complete this webform. For potential clients seeking a private course being taught outside of the Continental United States, please email us with a detailed description of where the course would be taught and what curriculum you are looking to have taught. This course is designed to teach the participant to recognize life-threatening emergencies, access the 911 system and provide critical, life-saving interventions to a victim in need prior to the arrival of an ambulance. This course is designed to teach the participant to recognize common medical emergencies, life-threatening emergencies, access the 911 system and provide critical, life-saving interventions as well as basic first aid to a victim in need prior to the arrival of an ambulance. The course is designed to teach the participant to recognize common medical emergencies, life-threatening emergencies, access the 911 system and provide critical, life-saving interventions as well as basic first aid to a victim in need, prior to the arrival of an ambulance. 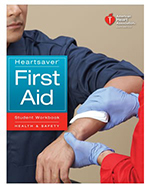 The course is designed for members of the community who may come into contact with blood or other body fluids in the function of their daily jobs and teaches the participants basic safety principles, exposure, and clean-up protocol surrounding blood and other potentially harmful body fluids. 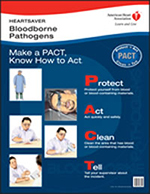 This course satisfies the general Occupational Safety & Health Administration (OSHA) requirement for bloodborne pathogens training as well as site-specific requirements. Common participants of this course include health and fitness staff, industrial workers, occupational health offices, hospitality services, cleaning services, police and private security officers, healthcare workers, tattoo artists and piercers, and general office administrative staff. This course is designed for members of the community who may be called upon to provide care or assistance to children within the community, but do not work in the occupational field of healthcare. The course is designed to teach the participant to recognize common medical emergencies, life-threatening emergencies, access the 911 system, and provide critical, life-saving interventions to a pediatric victim in need prior to the arrival of an ambulance. This is NOT a healthcare provider certification course. Recognizing Medical Emergencies including breathing problems, diabetes and low blood sugar, seizures, heat- and cold-related emergencies, poisonings, fever, and shock. Recognizing and Treating Traumatic Emergencies such as insect stings & bites, head & eye injuries, bleeding wounds, burns, electrocution, and broken bones, sprains, and bruises. 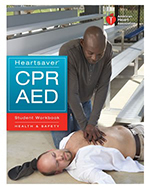 Common participants in this course include daycare attendants, camp counselors, babysitters, teachers, coaches, foster care workers, youth group leaders, new parents or parents of young children and other family members, and other employees designated as first responders who need credentialed training for a job or regulatory requirements. Our instructors can provide training on-site at a location, at times, and on dates determined by the client and agreed upon by the training center. All equipment, supplies, and instructors will be provided by the Department of Emergency Medicine Training Center. After successful course completion, each participant will be issued a certification card valid for 2 years, depending on the specific course. *Data obtained from the American Heart Association’s CPR Statistics.